We’ve all heard forever that money can’t buy happiness, no? And that the things that truly make us happy are free. Oh, a new car of pair of shoes or puppy may make us happy. Especially the puppy 🙂 For a time. But have you ever noticed that sort of happiness begins to wane fairly quickly? A study by Cornell University showed that experiential endeavors–such as a walk in the woods—bring more happiness than material purchases. For one simple reason: People talk more about their experiences than they do their possessions. And, they derive more value from doing so. In other words, time spent on doing brings more happiness than money spent on buying. Even if this results from, say, a vacation to Bali, it’s not the purchase itself that brings a smile to your face. It’s the anticipation of going, the planning of what you’ll do, the living it while there, and then coming home and telling your friends all about it that enriches your life. It’s difficult for a pair of shoes to sustain that sort of joy in your heart for long. Although a new puppy will bring you a smile for a long time—because you’re engaged in interacting with said pup. But here’s the secret: So many of these sort of experiences truly cost nothing. The heart of how to be happy in life is in appreciation. And again, while we can and do appreciate the baubles we buy, as the new thing loses its shininess, our joy of it flattens out pretty quickly. Without true appreciation though, even the day-to-day joys occurring in great abundance around us can go unnoticed. I love to train my dogs. Not a news flash! And while much of the dog world requires a fair amount of monetary investment, many of my favorite times don’t. Once we’ve finished for the day, we pull out our chairs, uncork a nice bottle (loved the Chardonnay from Saturday! ), and catch up on each other’s lives. Ah, sitting under a bright shining sun in a mid-winter champagne-colored field, with good friends and laughter and fun. What is better than that? I’m still chuckling at the stories. And still filled with appreciation for my friends. The essence of it is: Appreciation changes your energy vibration in a way that not even gratitude does. I’m a big gratitude believer, but recently have been chewing on the difference between the two emotions, which is at the heart of why the Cornell folks found what they did. While we feel grateful for things, from the roof over our heads to the god of our understanding, that’s just the launching place for appreciation. Spiritual teacher Abraham Hicks explains that gratitude carries the signature of past struggles—struggles we have overcome. But that the emotions of love and appreciation carry a higher energetic vibration. And while appreciation is not exactly the same as unconditional love, it’s quite close. Gratitude is for how far you have come. Appreciation helps you finish what you started. I love the last quote by Abraham. I need to say “I appreciate ….” more often. I am going to add it to my marker board in my office as a reminder. Thanks for sharing. Thank you for clarifying & really explaining the difference between gratitude & appreciation, motivation & inspiration. I have felt the difference but never looked them up (lazy?) I do think we need to have a few years of life behind us to really get the differences but your words are excellent starters. I agree, Roz–a few years of life behind us helps clear things up, no? Ah, the wisdom of age! I am reading some research by the Institute of HeartMath and they report that true feelings of gratitude, appreciation and other positive emotions can synchronize brain and heart rhythms. In that state the body’s systems function more efficiently and generate a greater balance of emotions and increased mental clarity and brain function. Thanks so much for sharing the distinctions between gratitude and appreciation, Susan. This difference really resonates with me. I have enormous appreciation for the wisdom of nature and am always grateful when spring flowers bloom again and the world is colourful again. I think that speaks to the distinction between them. As someone who is often looking for what is “next”, I can take time each day to observe what I truly appreciate in my life. A very healthy lesson for getting back to our core. Great post! I enjoy experiences much more than anything I can buy at the store! Isn’t it just the truth, Cyndi! I love this. Gratitude and appreciation are so important and oft overlooked. I don’t know that I want a new puppy, but I would love to get my paddleboard in the water very soon! Susan – What an insightful article. Honestly, I never thought about the differences between gratitude & appreciation before, but with the recent death of my 22 year old nephew, I can APPRECIATE what a marvelous person he was. There is a difference. On a different note, this article reminded me of my late mother. She trained collies, and wow could they perform. They would go out, bring the cows to the barn for milking, open & close the gates, bring in straggler calves, etc. And probably the most memorable part of it for me was their sheer happiness in doing their twice-daily chores! Oh, Joan, so sorry about your nephew. I really try to appreciate those I love who’ve passed on. I still miss them, but at least now the memories make me smile as well . . .
And I love that about your mom and her collies! 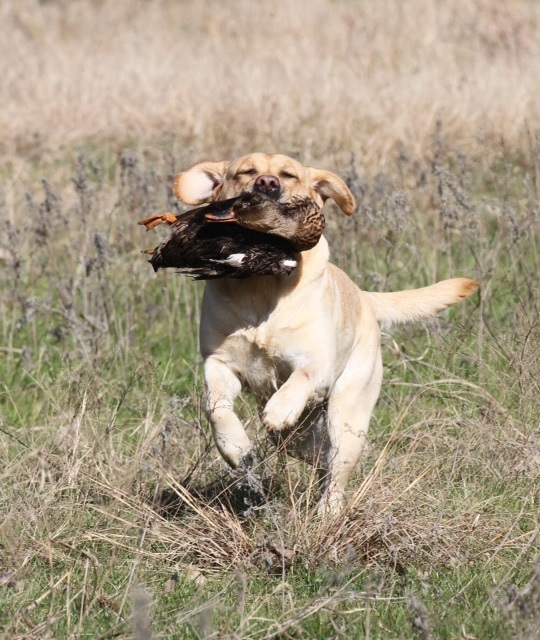 Doesn’t it just make you smile to see canines doing what they were bred to do–they love it so! Nice blog today! It is so true that appreciation carries in one’s heart longer than short term purchases. Each day I am grateful for what I can do. It’s been a long journey and will continue to be. The small moments keep me going….and smiling! The time we took our son to see the Great Horned Owls will forever be in my heart. It was his first sighting. Just looking out the window and seeing how beautiful the day is, brings appreciation because I can see it. Appreciation is key to a good life. Thank you, Susan! Isn’t it just about the moments, Judy? And I got a great image of your son seeing the Great Horned Owls! Ah, the face of a child in wonder . . . Experiences are what make for good times and also great memories. You simply need to pretend you are back in the enjoyment of a special one to make yourself feel happier. Doesn’t that just make you feel happy all over again, Beth! Love that. Love this. Doing happy things versus buying-yes! Abraham Hicks-yes! A great reminder on gratitude and appreciate too, thank you! Agree that it is so much more fulfilling chatting with friends, going for a walk or just doing fun things rather than buying stuff. Appreciation is always nice as it makes you feel so much better. It doesn’t, doesn’t it, Katarina. And oh, so many things to appreciate in this life! Hi Susan! I LOVE and APPRECIATE this post so much. I too have been mulling over in my mind of the distinction of appreciation and gratitude. And I think you make it so very clear here. (and love the Abraham quote that really nails it!) I actually resisted putting gratitude down in my recent post about happiness because it is something that is used so regularly (not that we don’t need to be reminded!) that I wanted to reach for more. And now you’ve done it! This actually could be #8 on my list of what helps us lean toward happiness. ~Kathy…. and p.s. your dogs are the PERFECT example of happy! You always make me smile so, Kathy! Our writings were in the same vein this week–synchronicity at work! Sending appreciation Rockets of Desire your way! Really enjoyed your post 🙂 Now you have me thinking about these 2 , gratitude and appreciation, both are great, and should be done daily, but like you said there is something about appreciation that brings into focus what we should be happy with now. There really are some interesting differences between the 2. You’ve cause me to think more about the difference between gratitude and appreciation. For me, gratitude is stopping and taking time to reflect on what I’m grateful for. Appreciation is the inner feeling of happiness that arises in the moment. Right now, I’m very appreciative that one of the cats just jumped up on the desk and has decided to be my writing companion. Smelling the flowers or enjoy a cup of homemade tea can make me happier than buying clothes or jewelry for example. Though happiness is defined different and it’s because each one of us has different experiences. Thank you for the great post! True.. tho money makes me happy in that it means my business is successful, however, the happy part comes in when I get to spend it on me or with my honey.. which doesn’t always happen.. so you are right.. it is the free things that are enjoyable.. and mine is.. spending time with people I love or enjoy. Love that, Kristen. My mom used to always say that money doesn’t buy happiness–but it does buy freedom. Which we can all appreciate! Thanks, Jackie! And I think that’s the point in a nutshell–the energy of appreciation is near to that of unconditional love. Powerful energy indeed! OH!!! What a way to begin a morning! This one was fun, no? And we sure like fun to begin our days, don’t we, Jinny!